Join host Andrea Schneider, MSW, LCSW and writer/life coach/survivor Shahida Arabi as we discuss evidence-based and trauma-informed theory and interventions for survivors of narcissistic abuse in family-of-origin and adult romantic relationships. 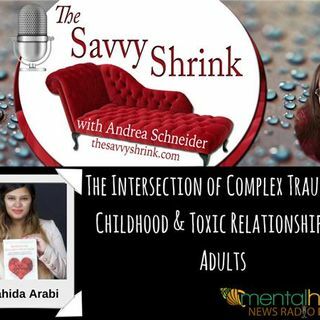 Shahida Arabi shares her perceptions and experiences as a survivor and prolific writer on the intersection of complex trauma in childhood and how exposure to narcissistic abuse during such a vulnerable time can prime the survivor for the familiarity of ... See More narcissistic abuse in romantic relationships, as well as friendships or workplace. We discuss how survivors can heal and protect themselves. We also address the difference between trauma bond and co-dependency, and the importance of strengths-focused, empowering language as imperative for survivors in their healing journey and reclamation of their life narrative.